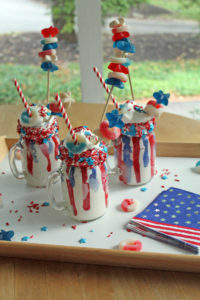 Speaking of the Fourth of July, I thought I’d share these fun milkshakes that will put you in a festive mood to celebrate our country’s independence. 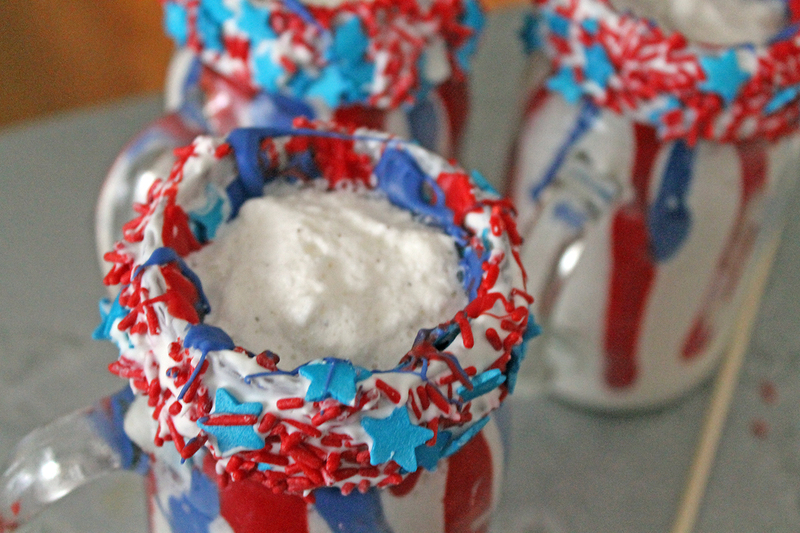 So here’s how to make some for your friends and family who may be visiting for the holiday weekend. 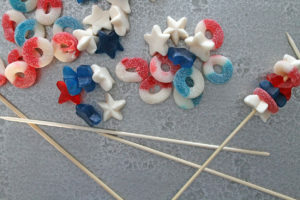 First, heat the white candy melts in the microwave until fully melted. 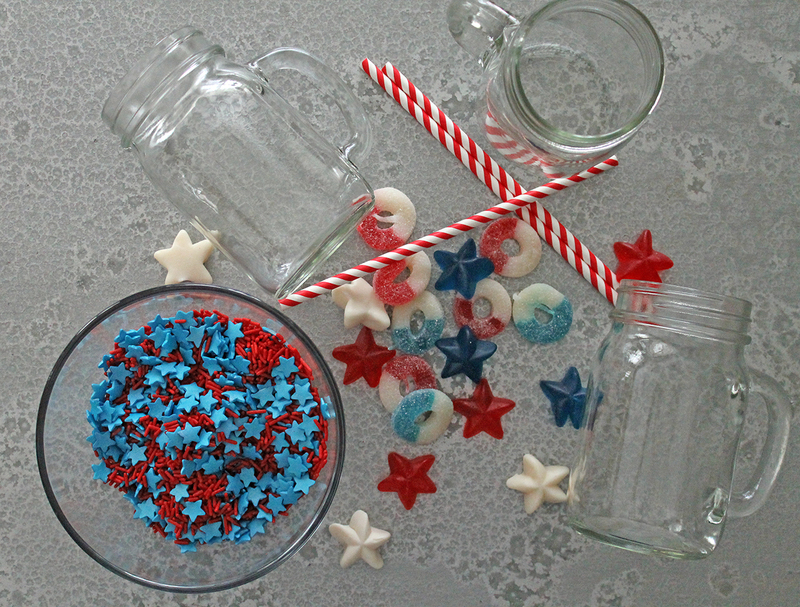 Turn the glasses upside down and dip them into the bowl of white chocolate in order to coat the rims of the glasses in it. 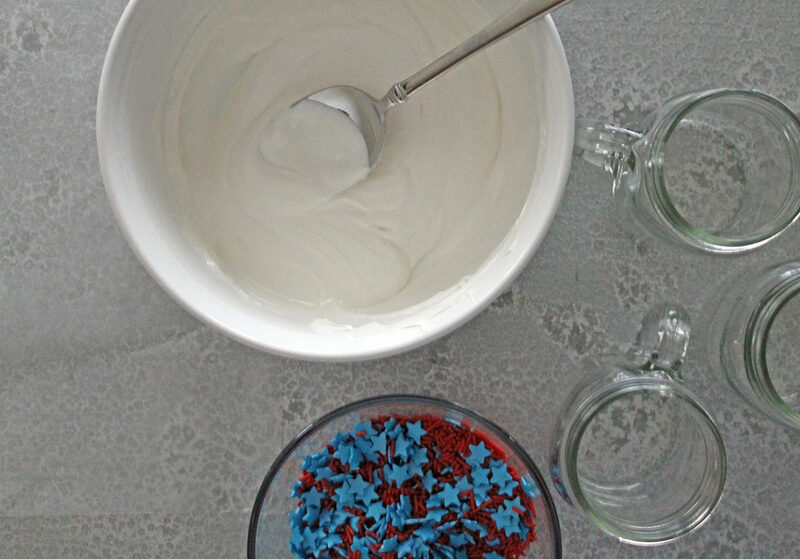 Then, cover the white chocolate with the sprinkles. 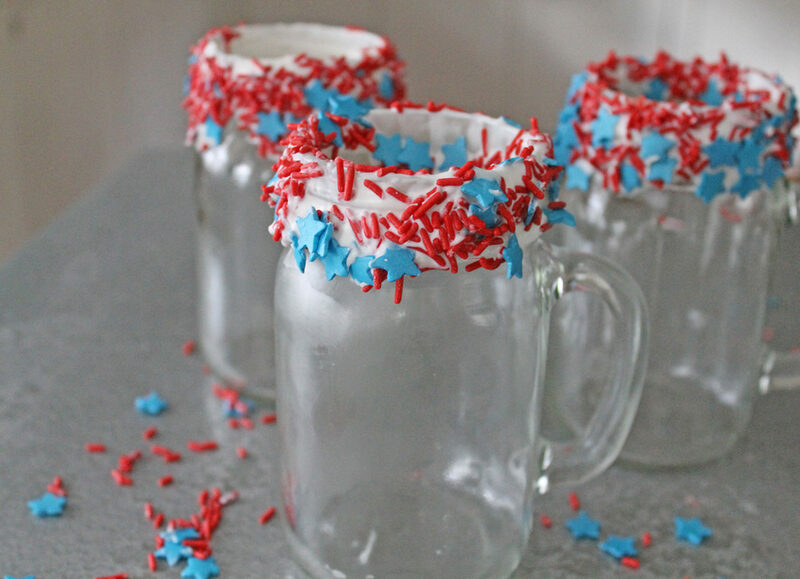 This can get messy, so do it quickly and then place the glasses in the freezer to harden. 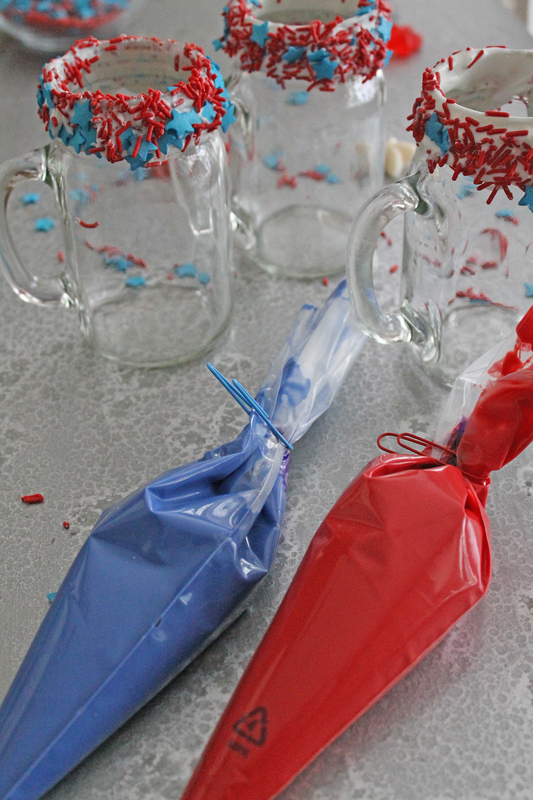 While the rims of the glasses are solidifying, heat the red and blue candy melts in two separate bowls until they are fully melted. 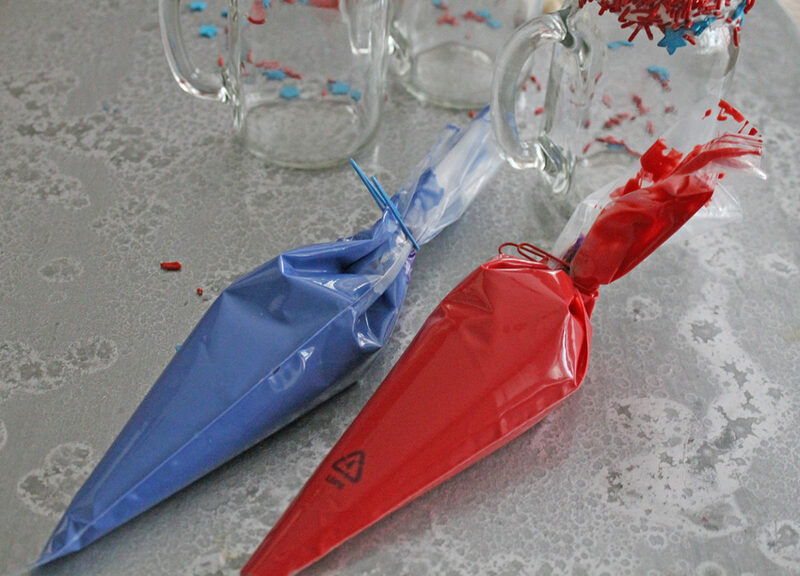 Then, spoon it into two plastic piping bags. Snip a small hole at the end of each one. 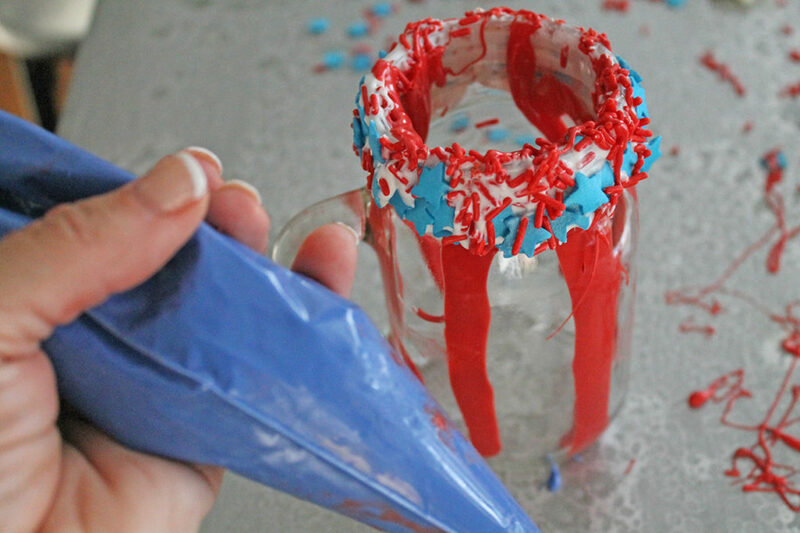 Now here’s where it can get tricky…you need to work quickly because it can get messy. And you don’t want it to solidify on you too soon! 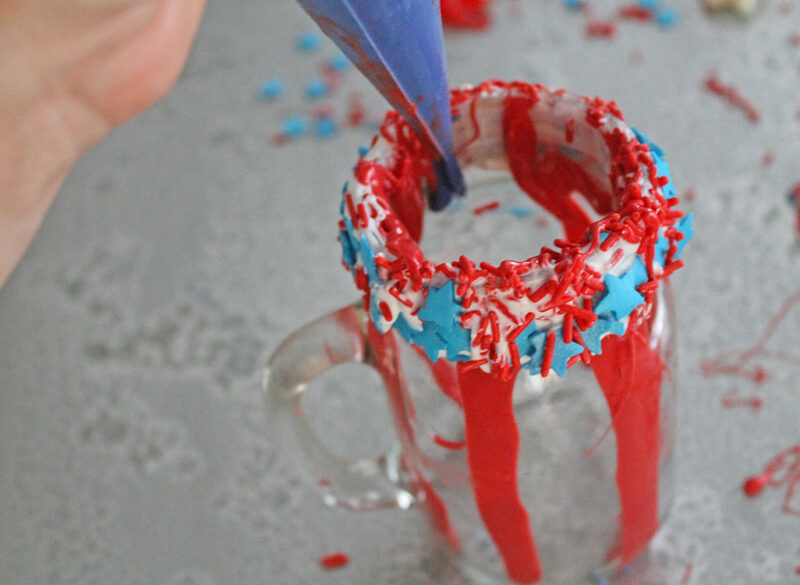 Using the piping bags, squeeze the melted red chocolate at the top of the glass so that it drips down the inside of the glass. 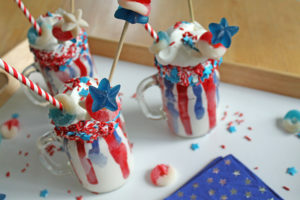 Do this alternately with the melted blue chocolate. You will start to see a striped glass. 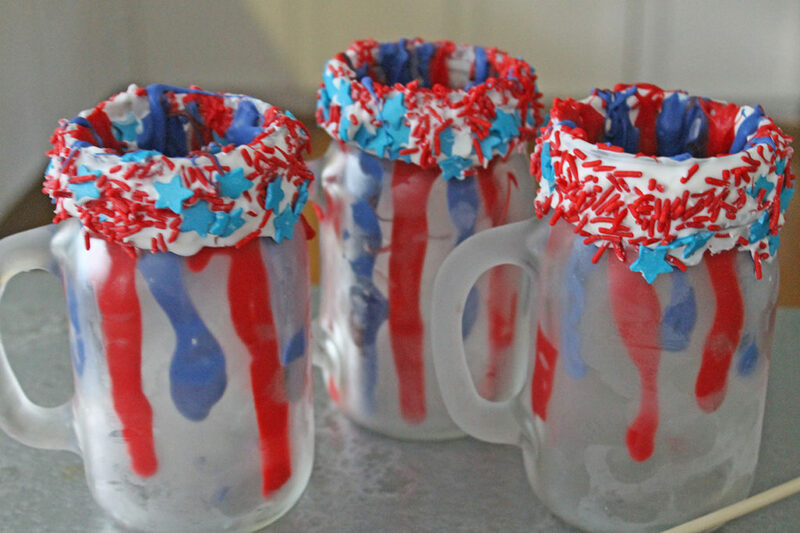 Once finished, place the glasses back in the freezer to harden. 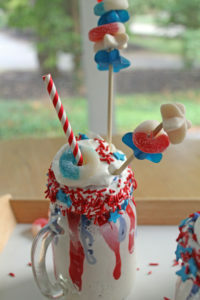 While the glasses are in the freezer, mix the ice cream and the milk together in a blender to make the milkshakes. 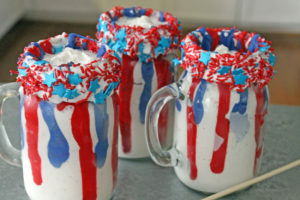 I use about 2 cups of ice cream and 1/2 cup of milk for each milkshake. 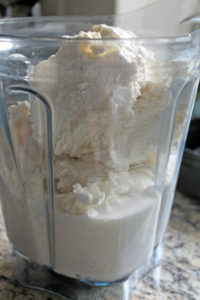 The whipped cream can be made by placing 2 cups of heavy whipping cream and 4 tablespoons of sugar in a bowl and mixing on high speed until medium to stiff peaks form. 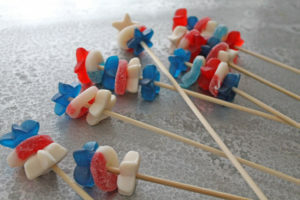 You can also put together the gummy candies on the wooden skewers, so that they are ready to go in the glasses. Now it’s time to assemble them! 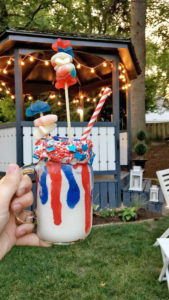 Pour the milkshakes into the glasses, add a scoop of the whipped cream, and top it all off with the gummy candy skewers and a straw! 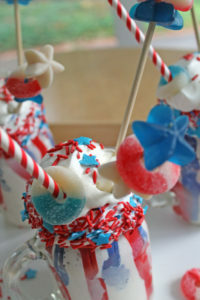 Oh, and don’t forget a few more star sprinkles on top! 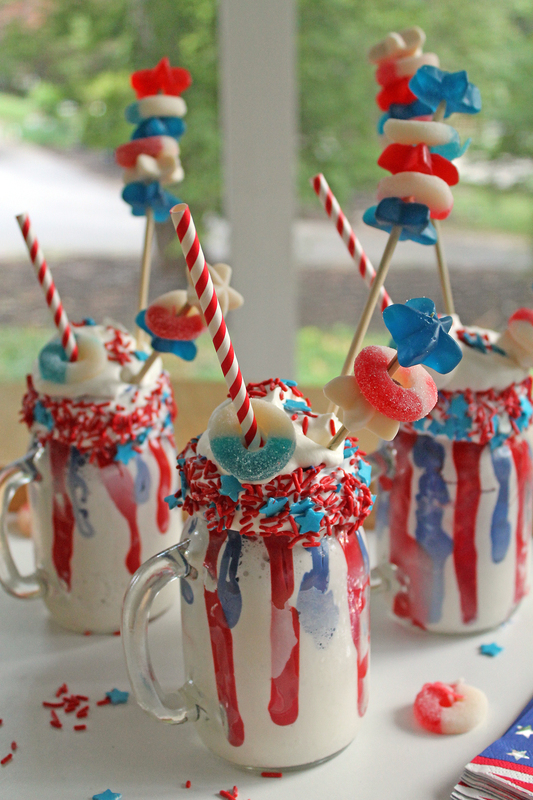 Serve these to your guests on the Fourth of July and you may just create some fireworks of your own!